David Levin Entertainment's Latin and Salsa bands are the best Latin and salsa bands in the U.S.
We offer the hottest female performer-vocalist in a salsa band, a headliner with an outstanding 13-piece Salsa jazz band including four back-up female vocalists, three horns and three percussion (This headliner is not seen here but her live videos are available upon request featuring salsa, mambo and other rhythms). They can perform a 1.5 to 2-hour show or divide their performance into three sets. Based in Los Angeles, this power-packed, very high energy group performs at corporate events and high-end weddings. Use the "Request a Quote" button to ask about pricing in Southern California, Las Vegas and anywhere in the U.S. as well as international site rates. Or, if you prefer, send us an inquiry via our Contact page and we'll respond shortly. We know you'll be pleased with our customer service which is second to none. 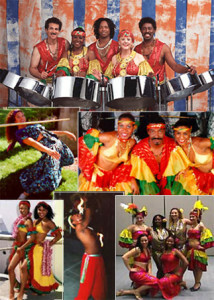 DLE offers a wide range of ethnic groups as corporate event entertainment as well as wedding reception entertainment. We offer exciting Los Angeles-based 8 to 14-piece “crossover” groups to the smaller and lighter Buena Vista Social Club-style groups without horns. We also feature other ethnic groups such as Polynesian dance groups, Caribbean steel drum, Brazilian jazz, zydeco, klezmer, World fusion and Oktoberfest groups. Our Salsa groups are based in Los Angeles. They do not play covers but a dj can take care of that (usually later) portion of the event. 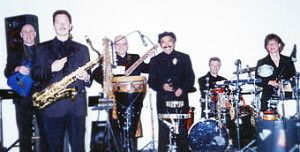 Salsa and Latin groups normally play three sets but can perform four sets if requested. Our groups are available for rehearsal as is often requested by corporate clients thru their event planners. DLE groups perform in California and across the U.S., Canada and in other countries. Videos of some of these groups are available upon request.